Algallika guesthouse rooms are renovated in 2008 and 2014. Our rooms have big windows with sea, garden and fields view. Whole house is heated with geothermal energy. We can accommodate 33 guests altogether (4 quad rooms, 1 triple room, 5 double/twin rooms and a four bed suite). For meetings, seminars and celebrations we have 40m2 seminar room and 130m2 hall. 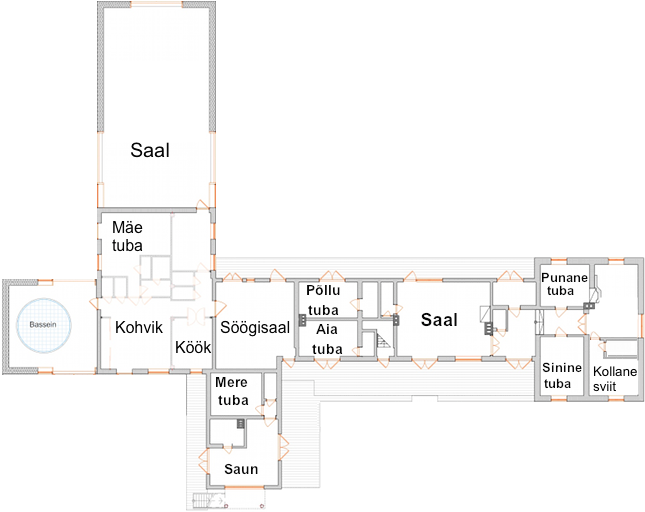 We have one Sauna with classical Estonian steam room for 4 persons. There is also massage minispa (Jacuzzi-type) for 3-4 persons. Two other Saunas have electrical heater.